The world's most ancient open cave system, the Jenolan Caves are a stunning natural highlight located in the Australian state of New South Wales. 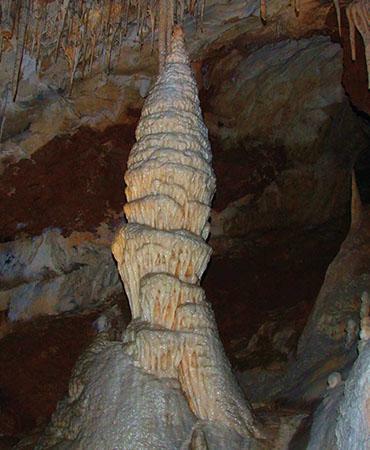 Known as 'Binoomea' by the Aboriginal people, the Jenolan Caves are a natural wonder. 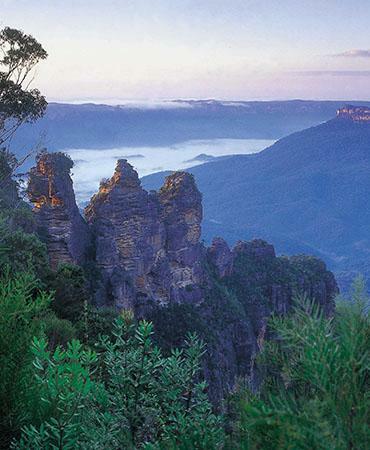 On the Blue Mountains, you'll explore the vast World Heritage listed Blue Mountains National Park and enjoy exciting and unique activities including Scenic World rides and encounters with Australia's most famous marsupials. 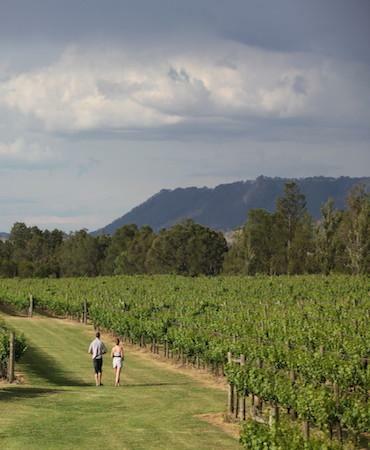 A Hunter Valley day tour is a fantastic way to discover New South Wales' remarkable wine producing region. The wines and the landscapes will immerse you in an authentic modern Australia experience. Port Stephens tours offer a great way to see the highlights of the delightful port town of Port Stephens. 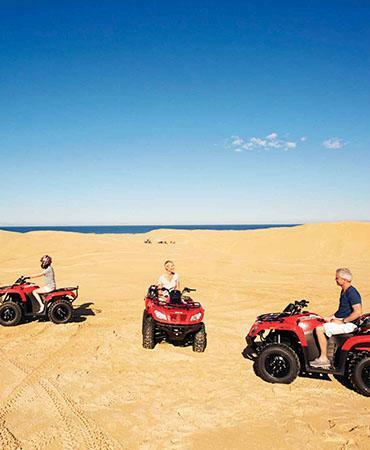 Spectacular views of the stunning Worimi Conservation Lands and a lot of fun on the sand dunes await you! 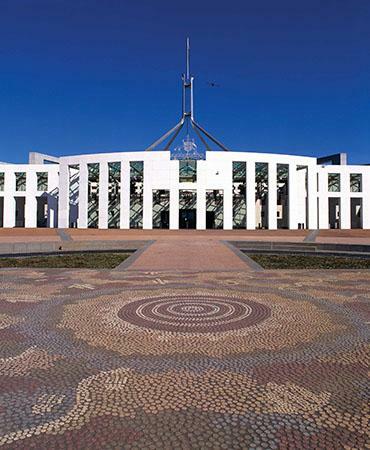 Australia's capital city is full of interesting landmarks and historic buildings. Canberra is reached in 3 hours drive through the stunning landscapes of the region and the summit of Mt. Ainslie. Sydney is the most populous city in Oceania and it surrounds the biggest and most spectacular natural harbour, Port Jackson. 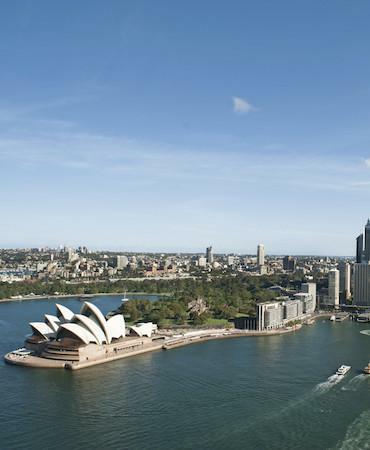 Thanks to its architectural and natural beauties Sydney is in the top 15 most visited cities in the world. Day tours in Sydney are a great way to see metropolitan sightseeing such as the Sydney Opera House and the Sydney Harbour Bridge, as well as discover some of the spectacular areas that surround Australia’s biggest city. Last Minute Day Tours offers a variety of exciting Sydney day excursions that allow you to encounter the country’s beautiful wildlife, take in some of New South Wales’ most breathtaking scenery, and even visit some excellent wineries on Sydney day tours. If you’re on the lookout for a Sydney day tour that offers an escape from the hustle and bustle of the busy city and gives you the chance to experience the Australian outdoors, why not take a day trip from Sydney? We offer Sydney day excursions that begin with an air conditioned bus ride out of the city to the famed Blue Mountains. On the way to the mountains, some of our tours from Sydney offer a stop at the fantastic Featherdale Wildlife Park, where you’ll have the opportunity to get up close and personal with some of Australia’s most famous furry and feathered residents, including wallabies, kangaroos, emus and koalas. The park is a real highlight and must-see for all animal lovers — and hand feeding some of these creatures is an unforgettable experience. Depending on the day trip from Sydney you select, you will have the chance to explore the amazing mountain villages of Katoomba and Leura and take in incredible views of the Three Sisters, an amazing rock formation in the heart of the mountains. Our adventurous tours from Sydney also include guided walks in the Blue Mountains National Park, where you’ll see a number of stunning highlights including the spectacular Wentworth Falls. Other exciting Sydney day trip highlights include exploring the amazing Jenolan Cave system that features incredible underground rivers and limestone formations, as well as a river cruise down the Parramatta River from Homebush Bay to Sydney Harbour, where you can marvel at the massive Sydney Harbour Bridge and the famous Sydney Opera House. The Hunter Valley, one of Australia’s most renowned wine regions, is easily accessible with a day tour from Sydney. Let your guide be your designated driver as you taste your way through the wineries, breweries and local producers of this picturesque foodie region. On offer are classic grape varieties including Semillon, Chardonnay and Shiraz from some of Australia’s big-name producers. Where there is wine, world-class food usually follows and spots like the Smelly Cheese Shop and Hunter Valley Chocolate Factory will keep your tastebuds begging for more. Last Minute Day Tours offers a range of great day tours in Sydney as well as exciting Sydney tours to Canberra that showcase the country’s capital and all its sightseeing. Book online now to experience an unforgettable Sydney tour!